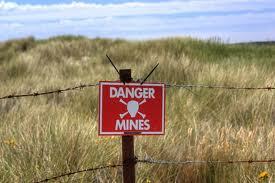 Why do I feel like I am walking on a Mine Field? One crisis after another? I reach out to your energy and become dizzy. I get from my peeps that everyday life which includes responsibilities and surrounding energies which include family, work, friends and acquaintances is confusing. Learning separation of important matters would bring you some calmness. It seems like you cannot focus on resolving issues readily. I hear to put important matters down on paper in an order of urgency and work on one problem at a time, crossing them off as you go along. It is also important to note here that saying no is not the end of the world. You are consciously working to do what you can, which is good but you fail to see the implications of doing everything. When something you are helping out at explodes to an even greater problem, you become more unfocused. Try meditating on bringing calmness into your life by working your angels on meditation and asking for focus. Do not feel bad about what you cannot do for family. This just brings in guilt. Guilt just rears its ugly head upon your being and this effects how well you can do other things. Spend some time for yourself. Again they say, do not feel guilty on life’s only way of finding calmness and peace. I hear that money matters will improve but only when you clearly make up your mind on wanting to move forward. Make a decision that resonates on a new direction that you would like to do. If you would like to try something new, go ahead. Try some exercise that pushes you to your limits and finish with some yoga for balance. Everything that I hear from my peeps tells me more often than not, you are the one generating the explosions that seem to bring you down. I also clearly hear the word failure. Know that you are not a failure. It is true that you manifest what you think. Become more upbeat about life and enjoy it to its fullest potential. You are deserving of all that is out in the universe as in everybody else. Take it. It’s there for the taking. I see a change coming to you within the upcoming year. This also includes moving. If I had a ? About something above can I ask it? ?